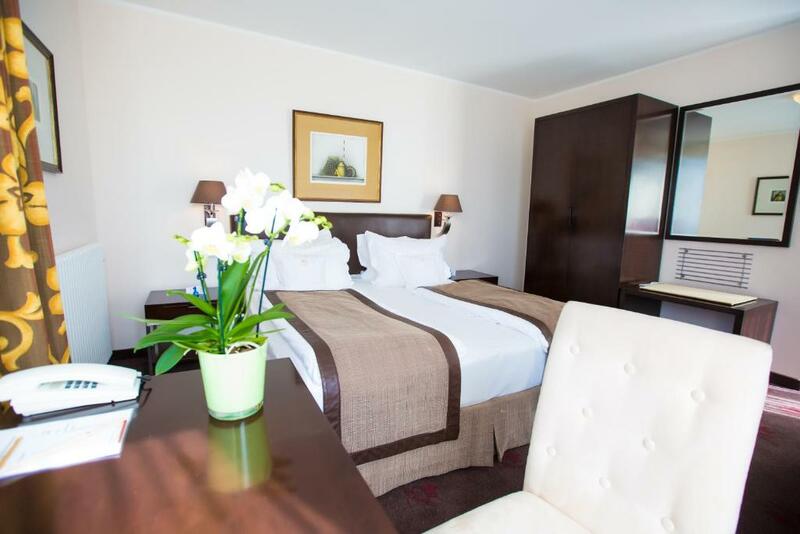 Lock in a great price for Hotel König Ludwig II – rated 8.8 by recent guests! Staff friendly and helpful, early check in just add 15EUR, communication smooth, location right in the pedestrian zone of Garching, near to the A9 and next to U6. Allianz Arena nearby too, airport not far, about 36EUR by taxi. Really nice breakfast. Great typical German breakfast. Rooms were impeccable. very good breakfast, very welcoming, friendly and professional staff - thank you! Perfect location to get to downtown Munich and to the airport! Right in the U6 to Marienplatz. Great breakfast, excellent bed, top bathroom, no noise at night, S bahn right next to entrance! Excellent location - lot of restaurants and shops around + a metro station just around the corner. The breakfast was amazing, lots of choices, fresh products. A great, nice hotel, with very friendly and helpful staff that make you really feel welcome. I consider the room was small, under the roof and the value for money was below from what I would have expected. Hotel König Ludwig II This rating is a reflection of how the property compares to the industry standard when it comes to price, facilities and services available. It's based on a self-evaluation by the property. Use this rating to help choose your stay! The Hotel König Ludwig II is directly on the Bürgerplatz Square in the center of Garching’s pedestrian area. Free WiFi is featured throughout the property. The König Ludwig II occupies 2 neighboring buildings. The breakfast room, restaurant, bar and some rooms are in the main building. The guest house rooms have views of the Bürgerplatz. There are many shops surrounding the Hotel König Ludwig II. Garching Underground Station is less than a 1-minute walk away. From here, Munich’s center can be reached in 20 minutes. Underground parking is available near the property for a surcharge. This property also has one of the top-rated locations in Garching bei München! Guests are happier about it compared to other properties in the area. This property is also rated for the best value in Garching bei München! Guests are getting more for their money when compared to other properties in this city. 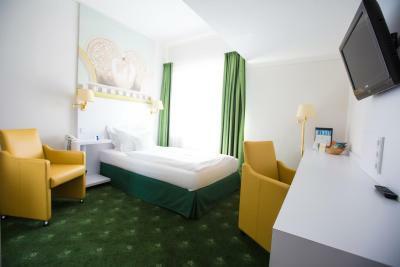 When would you like to stay at Hotel König Ludwig II? Warmly decorated room features a mini-bar and complimentary toiletries in the private bathroom. Warmly decorated room features a mini-bar and complimentary toiletries in the large private bathroom. Warmly decorated suite features a mini-bar and complimentary toiletries in the private bathroom. 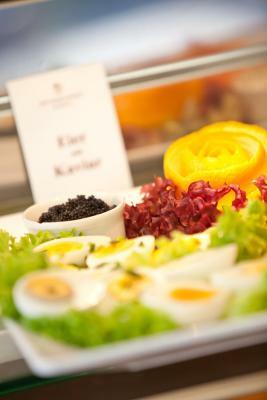 House Rules Hotel König Ludwig II takes special requests – add in the next step! All children from 5 to 14 year are charged EUR 20 per person per night for extra beds. Hotel König Ludwig II accepts these cards and reserves the right to temporarily hold an amount prior to arrival. Please note that the address of the underground garage is: Schleißheimer Strasse 4, 85748 Garching. There is limited availability, so please contact the accommodations in advance. The blankets are a bit too small. 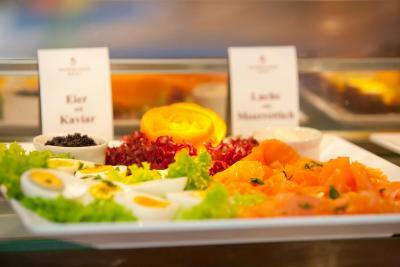 There are not many facilities, also dinner is rather snack based, it is ok for travellers but not great. Beds are too soft in my opinion. location was great. Breakfast was super! We were very satisfied with our stay in the hotel. The rooms were nice and clean and the beds were comfortable. The breakfast was excellent. I would recommend staying it this hotel. Excellent value for money, great service and location, large rooms, clean and fantastic breakfast along with friendly staff! 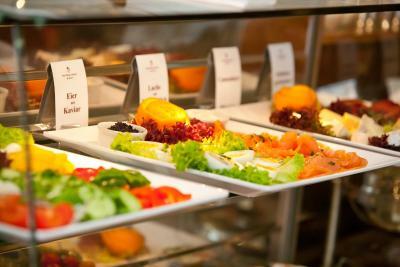 The hotel is very close to subway station (U6), supermarket, drugstore,restuarants and bakeries. Fantastic location. The hotel itself is very good too. The hotel was located on a beautiful walk-platz. You can grab a beer before dinner at the hotel, then walk to a local resturant. Also the subway was just around the corner, so getting into Munich was very easy. Breakfast was fantastic, the room and bathroom spacious and very clean. Highly recommend!